A Pinch of Joy is one year old! Actually, it is older than that because I did a lot of research and learning and planning before posting the very first post. And that was August 22 – just one year ago! In case you missed it – and I’m sure most of you did! – here it is again. The first month, readers were numbered in the tens – and I knew the name of every one of them! Your words and feedback were so encouraging! I can’t thank you all enough for taking the time to write those notes! You know who you are. . . . This has been a learning year! I was fairly proficient at using MSWord and knew my way around the internet really well. And I heard about C Prompts and FAT 32s when Bytes studied for his certification exams. None of that was any help at all in blogging! I had to learn a whole new version of computerese – and a whole lot of it!! But thanks to Google and Bytes – and some very, very late nights—it’s not nearly as intimidating anymore! I continue to learn about blogging and readers now come by the thousands each month. Each and every one is deeply appreciated! Cooking is not intimidating because once you learn a few basics you can change ingredients, try something a bit different in the method of preparation, make the dish fit your family situation and the ingredients you have available. If something isn’t working for you, try a new way. Like our raised garden beds in the area where we hadn’t been able to produce much of anything before. Or learn a new skill such as how to add moulding to spiff up a boring room. Organization makes life so much easier and is worth the time thinking things through to find the best way. Organization includes your financial life and family management, too! Family and friends are important and so are the little things we do to nourish those relationships. Beauty, whether in nature or well done crafts, enriches our lives. Money isn’t the big deal in doing any of those things. You know it – love and caring is the big deal. Always! Thanks for making this such a great and exciting year! Stay tuned to see what falls off the keyboard throughout the coming year!!!! Don’t miss a thing — subscribe by email or RSS feed, follow on facebook or twitter to catch the latest post! 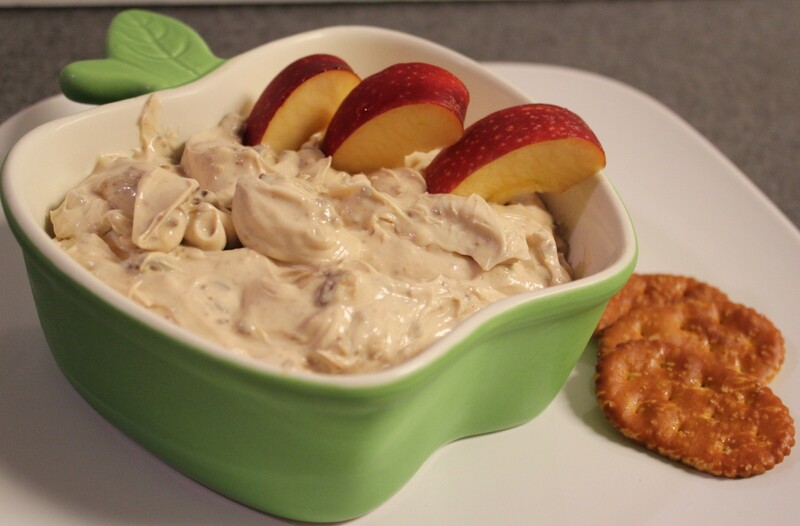 Great dip for apple slices, salty pretzels, crispy cookies!